Educational Requirements: (i) An eminent scholar with Ph.D. qualification in the concerned/allied/relevant discipline and published work of high quality, actively engaged in research with evidence of published work with a minimum of 10 publications as books and/or research/policy papers. 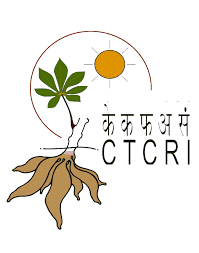 (ii) A minimum of ten years of teaching experience in University/College, and/or experience in research at the University/National level institutions/industries, including experience of guiding candidates for research at doctoral level. (iii) Contribution to educational innovation, design of new curricula and courses, and technology – mediated teaching learning process. How To Apply: The detailed eligibility conditions and prescribed application form are available on the University website (www.cukashmir.ac.in). The prescribed application form can be had from the Transit Campus of the University at Sonwar, Near GB Pant Hospital, Srinagar 190 004, J&K on cash payment for Rs.300 or by sending a Demand Draft of Rs.300. Candidates belonging to SC, ST & PwD are required to pay only Rs. 150 as application fee. 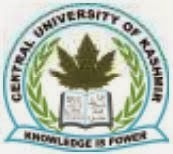 The DD should be drawn on any nationalised bank favouring Central University of Kashmir, payable at Srinagar (J&K). The application form can also be downloaded from the University website and submitted/sent with a DD of Rs. 300 (Rs 150 in case of SC, ST & PWD). Complete application form may either be delivered personally at the Reception Counter of the University or sent by post to Registrar, Central University of Kashmir, Sonwar (Near GB Pant Hospital) Srinagar 190004, J&K. The University shall not be responsible for postal loss /delay. Applications received after the last date will be summarily rejected and no further correspondence shall be entertained in this regard.